The Back Country Horsemen of Oregon currently includes 9 local chapters, with over 400 members, throughout Oregon and is one of 33 recognized State Organizations of Back Country Horsemen of America. We promote and teach Leave No Trace ethics (LNT) and lobby for continued access of pack and saddle stock in Oregon’s wilderness and backcountry. We are made up of many individuals from all over the state who share a common love of horses and riding in the backcountry and on our public lands, who want to see the places in Oregon remain a place where equestrians are welcome. Back Country Horsemen of Oregon is a group of local men and women dedicated to the preservation of our right to the common sense use and enjoyment of pack and saddle stock in Oregon’s wilderness and backcountry, We are a nonprofit organization focused exclusively on ensuring public lands throughout Oregon remain accessible to equestrians. Through our principals we advocate for private recreational pack and saddle stock use of all public lands and the stewardship of those lands. The Back Country Horsemen of America is the only national organization that promotes the use of private recreational pack and saddle stock use on our public lands nation wide. We actively work with all city, state and federal government agencies to maintain equestrian access to public lands. 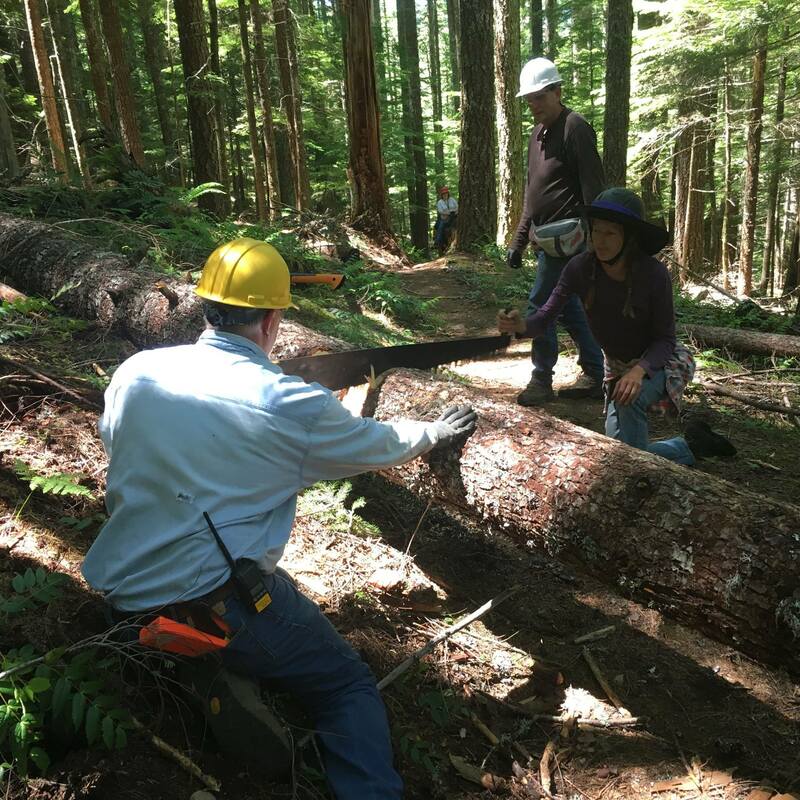 Back Country Horsemen accomplishes this by attending and speaking at public meetings, writing letters, and working with our government agencies to maintain many wilderness and non-wilderness trails in the state of Oregon. Our local chapters work, with the blessing and support of the public agencies, all over the state. We provide training in LNT principals and techniques to minimize our equestrian impact on the backcountry. Trail work is one of the mainstay of our mission. Volunteer’s from our 9 chapters participates in some way to help keep trails open. For last year here in Oregon we had another great year with just over $545,000 dollars worth of volunteer dollars donated with just under 14,000 volunteer hours. Throughout the year this included 478 stock that were used while volunteering plus 72,746 travel miles. Thanks again to all the BCHO members who tirelessly volunteer keeping our public trails open. To perpetuate the common sense use and enjoyment of horses in America ‘s backcountry and wilderness. To foster and encourage the formation of new BCHO chapter organizations.